Researchers have shown that in the last two decades, human activity has destroyed more than a tenth of the wilderness left on earth. In the 1990s, researchers drew a world map with all the areas of wilderness – defined as biologically and ecologically intact landscapes free of any significant human disturbance - that totaled 30.1 million km2 or 20% of the world’s land. A second map, drawn in 2016, shows that there had been a loss of 3.3 million km2 (almost 10%) since the first map was composed. 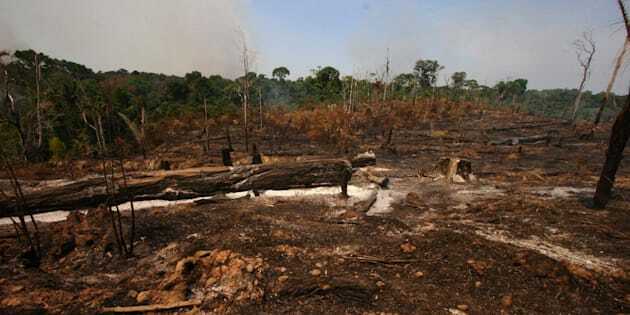 The primary loss, (30% of the total loss), occurred in South America due to logging and deforestation of the Amazon rainforest. Dr James Watson, one the lead authors on the paper in the Current Biology journal, said areas of wilderness are being “completely ignored” in environmental policy. Watson, at the University of Queensland, claimed too much attention has been paid to the loss of individual species rather than the loss of entire ecosystems. Dr Oscar Venter of the University of Northern British Colombia said the wilderness loss is “staggering” and humans only have one to two decades to turn this around. The majority of the wilderness left behind is in North America, North Asia, North Africa and Australia. “We need to recognise that wilderness areas, which we’ve foolishly considered to be de-facto protected due to their remoteness, are actually being dramatically lost around the world, added Venter. The authors are calling for immediate action on international policies to reverse the trend.